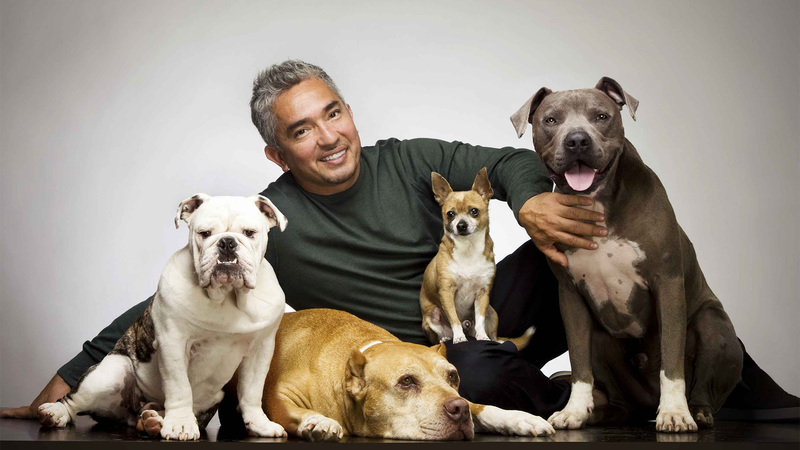 Dog Whisperer follows well-respected animal behaviorist Cesar Millan as he works to help dogs with behavior problems, and their human families. These problems range from excessive barking to behavior, that if not corrected, could leave the owners little choice but to euthanize the dog. Mr. Millan describes his work as "rehabilitating dogs, and training people." Dog owners can learn from him ways to establish a balanced relationship with their dogs that will help to prevent these problems. Before leaving the UK Cesar help to rehabilitate a Klee Kai who lunges and snaps at any dog that comes close, a Collie mix scared by a loud noise and now refuses to go out anymore, and a Labrador who is so energetic that it's hard to tell if he’s being friendly or dangerous. On a Nebraska farm, an Australian shepherd named Buster is protecting too well. Cesar helps Holli, an American Stafford Terrier who was injured in a school bus accident. Oscar nominee Virginia Madsen and her son Jack need help with a companion for their french bulldog Spike. Meet Zena, a pit bull/chow mix whose extreme fear of the stove has forced her owners, who live outside of Phoenix, Ariz., to cook outside on a grill for the past year. 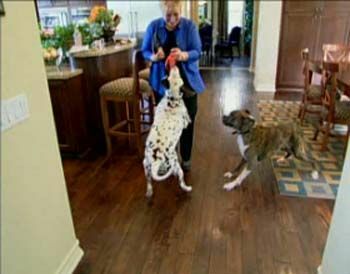 Next, Cesar visits Major, a Rottweiler, and Nira, a German shepherd, who are battling for control of the house. 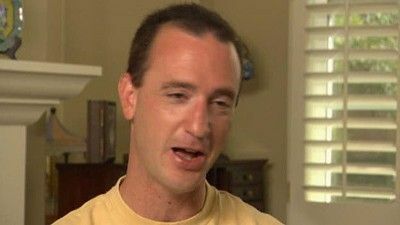 Finally, meet Willie, a Jack Russell terrier who cant handle the death of his pack leader, the family cat named Jake. Willies owners say Jake kept Willie in line, but now the terrier has abandoned his good behavior. Cesar works with Heather Mitchell and Nate Clesowich to rehabilitate Eppie, a Stafford Bull Terrier. Eppie has become very dog aggressive and makes walking her a nightmare. 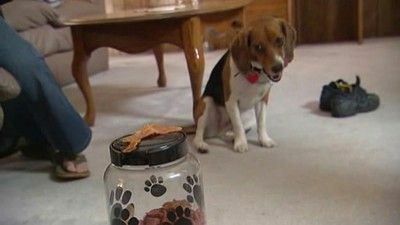 In the second segment, he deals with a dog who has become fearful aggressive, especially barking at the owner's mother, who has reached the point where she can't stand Lady. In the third segment, Cesar helps a family with a very active young beagle who has begun to run in the yard, sniffing and yelping until his nose is bloody. Still in the UK, Cesar helps a Jack Russell terrier who spins and barks when guests arrive, two dogs returning from Africa and having trouble adjusting, and a professional dog walker who can't control her own Patterdale terrier mix. 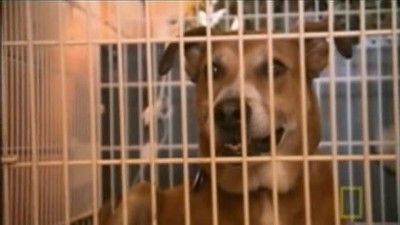 In the first segment, Cesar works with a couple who have an out of control lab who was even kicked out of a dog training class. In the second segment, he has a more complex problem to solve. A young couple has recently married and one of their dogs is having a hard time with the changes. He has become quite aggressive, and since they are expecting their first child, they are anxious to bring both their dogs under control so they will not be a threat to the new baby. In the third segment Cesar has an easy time teaching a shar pei to not attack the TV every time there are dogs on the screen. Cesar works with a family who has a Yorkie who eats shrubs, an apartment dwelling family whose dog barks excessively while they’re not home and Miniature Bull Terrier who is aggressive with large dogs. 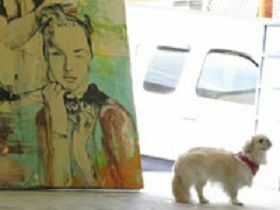 As an artist on the rise, Daniel Maltzman relies on inspiration, but he can’t inspire his 1 ½ year old Pekingese, Pekaso, to eat or drink. Pekaso refuses to eat any kind of dog food, top shelf or not. Nothing Daniel does seems to make a difference. Pekaso also has issues when it comes to drinking her water. Cesar helps a rock musician with his extremely aggressive pit bull so he can have someone watch her while he is on tour, and a comic book writer and his TV producer wife with two very aggressive Boston terriers. Meet Jennifer Lee Pryor, the wife of late comedian Richard Pryor. Jennifers rescue organization, Pryors Planet, is working to place dozens of dogs in loving homes. Fights have broken out among the foster dogs and the four dogs she already owned. The conflict is no laughing matter - will Cesar be able to restore peace and help Jennifer become a pack leader? Plus, meet Gizmo, a 6-year-old beagle with a severe aggression problem. Will Cesar be able to calm this belligerent beagle? A pup with a tendency to get into dogfights is featured. 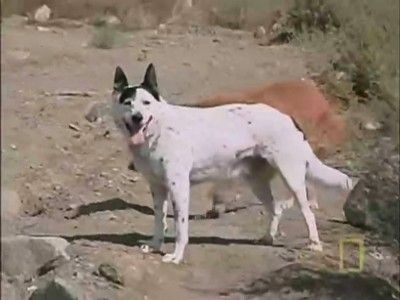 Also, an Arizona dog has been banned from taking hikes because of it's temper. In the first segment, Cesar works with a couple who have a fearful-aggressive papillon/corgi mix who needs medications but will do anything, including biting, to avoid the treatment. In the second segment, he works with two young women who have adopted two rottweiler puppies they found as strays. The dogs are becoming aggressive in their play, especially with the ladiesï¿½ young niece. Cesar helps them get the dogs under control and trustworthy around children. In the third segment, Cesar takes on a frightened Vizsla named Booker who is having a very hard time adapting to living in the city after his early months in a quiet, country atmosphere. Cesar helps Herbie - a biter prosecuted under the Dangerous Dogs Act, two actresses with their badly behaved Alsatians, and a Cocker Spaniel who nips and growls when put in the car. 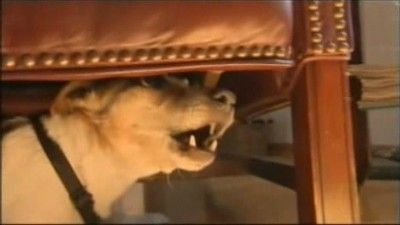 In the first segment, Cesar works with a couple who have two min pins that are hyperactive to the point of biting visitors to the home and are harming their home-based business. Cesar also deals with Maria's fear of large dogs. 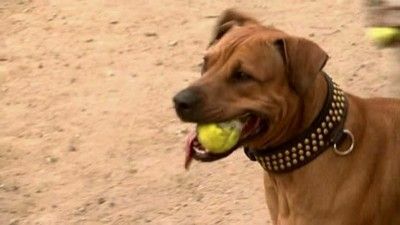 In the second segment, he takes a rock-obsessed Rhodesian ridgeback/pit mix to the Center to help him learn to engage in more appropriate dog activities. Punkin has a great time and quickly loses interest in rocks. In the third segment, Cesar helps a young woman with a very frightened adopted stray. Molly soon learns to adjust her energy to help Maddy relax and feel more confident about men. 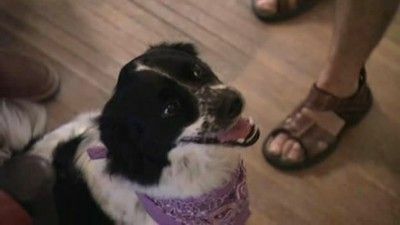 Maya, a Border Collie/Spring Spaniel Mix lunges towards any small animal nearby, causing a further injury to her owner who recently had major neck surgery. Sara, a rescued Sheperd mix with aggression. Then, a pushy poodle in Omaha, Nebraska needs Cesar to help grow out of her puppy behavior. In fifteen years, Daddy has proven to be the perfect dog, obeying Cesar’s every command and even assisting Cesar on some of his hardest cases. But Daddy, like all dogs, began his training as a puppy. In this special, Cesar decides to raise four different breeds with different breed-related characteristics to show people how any dog can be shaped into the perfect dog. Cesar works with three families: one with an over-exuberant puppy, one with three German Shepherd Dogs with pack issues, and one with a controlling little fluffball who rules the house. 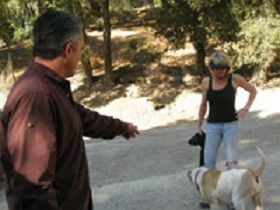 In this episode, Cesar works with a couple whose relationship is at risk due to their pit mixes-the dogï¿½s aggression toward each other makes it impossible for the couple to spend time together with their dogs. The second segment is about a dane mix who will eat absolutely anything-resulting in surgery to remove an obstruction. 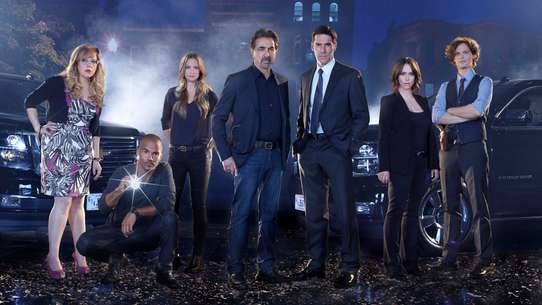 They hope that Cesar can help stop him from this destructive and dangerous behavior. The third segment is about the three Katrina dogs who hopefully will be reunited with their families. Legendary Tonight Show sidekick Ed McMahon rescued a wheaten terrier named Gus. He can be sweet and cuddly around Eds family, but he has become seriously aggressive toward Eds assistants and guests. Next, meet the Swanson family, who live outside Minneapolis, Minn. They adopted a beagle named Abbey who now wont leave the house. Then, in Torrance, Calif., meet an Australian shepherd named Vinnie who is so territorial of his owners house that no one has visited in two years. 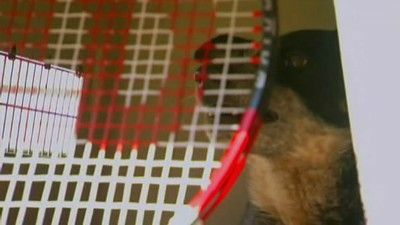 In this episode Cesar works with an aggressive German shepherd who, very unlike his much-loved predecessor, would and has attacked people and animals outside the family, and appears to want to kill the family cat. Then he deals with a teacher who has adopted a second sheltie from rescue, but this dog attacks the vacuum, her hair dryer, etc., in addition to barking non-stop in the car, generally making himself unpleasant. This is putting strain on her relationship with her parents, who dog-sit for her during the day. 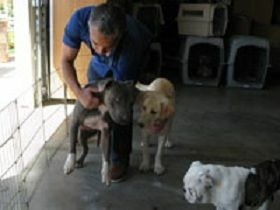 In the third segment, Cesar works with woman who has two rescued dogs, one a chow mix and one a pit mix. The pit mix particularly is causing a problem in her relationship with her fiancï¿½, to the point where the wedding was postponed until the dog situation was resolved. Baring fangs and dripping saliva, a massive 150-lb. beast protects the home of one of music's most beloved performers - legendary recording artist and two-time Grammy winner Miss Patti LaBelle. Patti rarely comes too close to him - out of utter fear and fearing his aggression could lead to an attack. Can Cesar create a harmonious connection between the inspiring singer and the intimidating beast? Then, Cesar heads to Chicago to help Chicago art teacher Mary Jane who has adopted a 6-year-old rottweiler. 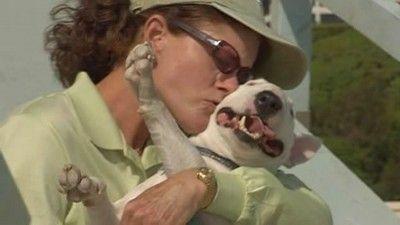 When Nate Hedges purchased 9-week old American bulldog Bella, he was living in a late night party house where people were constantly in and out and up at all hours. Sometimes, Nate would be gone an entire weekend, leaving Bella alone. Nate’s lifestyle sent him into a downward spiral. Battle of the Boyfriends Anita Eble has a herding mix named Boyfriend, who just happens to hate her human boyfriend, David Kovach. Boyfriend has bitten David twice, but Anita doesn't want to euthanize him as David wants her to. Cesar establishes that Boyfriend was not aggressive in the beginning, but fearful; nurturing that fear can create fear-based aggressive behavior. Boyfriend should not have affection before exercise and discipline. He asks Anita how she reacts to the aggression. She says she screams at Boyfriend. Cesar explains that this does not control aggressive dogs. David reiterates that he thinks Boyfriend should be put down-he doesn't think Anita can follow-though, and that he will be bitten again. Aside, Cesar states that David is blaming the dog, and it's not the dog's fault. It's the responsibility of the owner. He asks David to keep an open mind. Anita is very anxious when Cesar enters Boyfriend's pen and Cesar reminds her that she needs to have a relaxed energy and an assertive approach. Cesar sits with his back to the dog, in order to allow Boyfriend to calm down near him. (It may need to be said here, as in the opening of the show, that one should consult a professional before attempting these techniques.) Once Boyfriend is calm, Cesar has David approach with his own dogs, who are actually the ones to start things. Boyfriend avoids rather than reacts to them. Cesar says that he is not issuing any commands, that it is his energy controlling the behavior. "The presence of a human can actually change the behavior of a dog." Cesar gives Anita homework to practice, and she is very encouraged by Boyfriend's calm behavior with Cesar, and commits to the work ahead. What's It All About, Alfie? Alfie is an English Bull Dog owned by Daisy Fuentes and her fiancé, Matt. Daisy is concerned about Alfie's newly-defensive behavior toward visitors to the home. Cesar notes that Daisy's Soft-Coated Wheaton terrier, Rita. is hyper, and Alfie is aggressive, and these behaviors are caused by a lack of exercise and discipline. He says that dogs in the home get affection before anything else, which is backward. This fulfills the human's needs, but not the dog's. People need to remember that dogs are – Animal, Dog, Breed, Individual Personality (name), and that dogs will not listen to a non-leader. 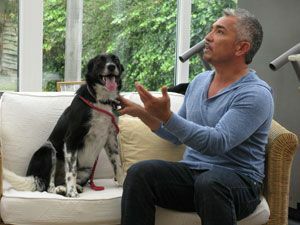 Cesar first addresses the door issue, and shows Daisy to first stop the escalation by getting Alfie's attention, causing him to calm down, and then sending him to his "place." He also shows her how to take control of toys, and again, a Bull Dog makes Cesar work for it. He gets Alfie to give up the toy on command, and then Daisy tries it-without success! He brings it to Cesar instead. Cesar explains that it will take time and practice to re-gain a position (pack-leader) that was given up long ago. A veteran bomb-sniffing Labrador retriever develops severe symptoms of PTSD after a stint in Iraq. Will Cesar be able to help this heroic canine? It's the age old rivalry of mail carriers vs. dogs. 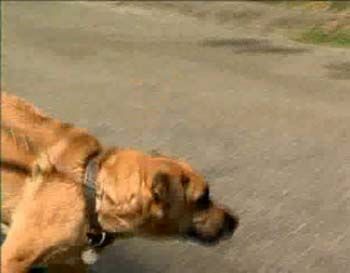 Cesar joins one postal worker on her daily route and teaches her some practical tips for thwarting dog attacks. Then, Cesar meets hyperactive Pomeranians Woody and Wallie. Whenever they are left alone together they attack each other. Finally, Cesar meets Kane, a Swiss mountain dog, who is very aggressive around food. Can Cesar help these problem dogs?